With over 30 years of manufacturing cable assemblies, Rojone is one of the most consistent & experienced assembly companies in Australia today. Rojone is able to work with you to create a custom assembly, with in-house CAD services to develop your specific requirement or just competitively build to print. Rojone has a suite of automated stripping, crimp tool & gauges. We have a range of Vector Network & spectrum Analyzers, and Environmental test chamber -40C to +100 C as well as in-house plastic injection capabilities for both standard & specialized over molding. Technicians are all IPC/WHMA-A-620A certified specialists for Cable & Wire Harness Assemblies. Defence contractors & aerospace applications, demanding mining, vehicle and survey & construction applications, Telecommunications & Radio Communications applications. 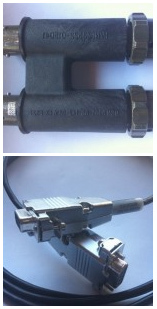 An RRU AISG multi-wire cable is 5 m (16.4 ft.) long. It connects an RRU and an RCU to transmit control signals from a base station to the RET antenna. When the RRU is connected to the RET antenna, an AISG multi-wire cable transmits RS485 signals.